Delicious 'free-from' Devon fudge – Not too sweet, just perfect! Delicious ‘free-from’ Devon fudge – Not too sweet, just perfect! Sometimes you pop a chunk of soft, moist, gorgeous-looking fudge into your mouth and ouch… your teeth actually cringe! It’s far too sugary, far to sweet, and that tends to spoil the beautiful flavour. 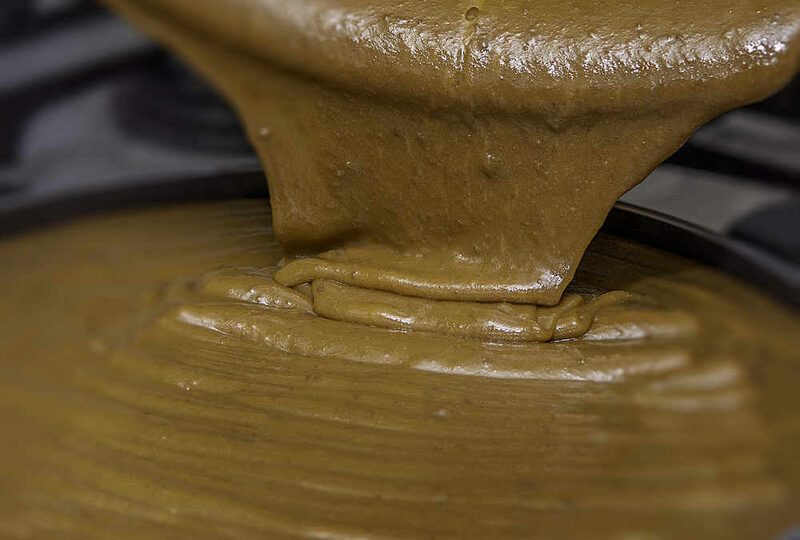 Our fudge is perfect. It’s not too sweet. The delightful flavours sing out, creating a magical symphony of total and utter deliciousness. Better still our fudge is free from one of the ingredients that makes people feel less than their best, and also free from products that ruin the world’s precious rainforests. This is grown up fudge for discerning sweet-toothed adults. We make it from whole milk, butter, clotted cream, condensed milk and sugar. And that’s that. Nothing nasty, nothing unneccessary, nothing that shouldn’t be there. Welcome to our world. You’re fine eating gluten unless you’re actively intolerant to it, of course, but plenty of people find eating foods containing wheat and gluten makes them feel bloated and uncomfortable, sometimes actually poorly. Our fudge is totally gluten free, which means it’s good for anyone, even if you happen to have a gluten intolerance. If you’re not intolerant or allergic and can eat anything you like, you won’t notice the lack of gluten. You won’t find yourself wondering what’s missing, like you do with some gluten-free alternatives. Our Devon fudges are as tasty as a tasty thing, as satisfying as you’d expect from sweets made with not just expertise, care, attention to detail and the finest available ingredients, but also with plenty of love stirred into every glorious chunk. Palm oil is dreadful stuff. The US Center for Science in the Public Interest says the oil is particularly high in saturated fat and low in polyunsaturated fat, which means it’s a potential culprit in heart disease. The industry is also linked to habitat degradation, climate change, animal cruelty and abuses of the rights of indigenous people, including actual murder. And that’s why big brands like the high street frozen food store Iceland are phasing it out of their products as fast as they can. Palm oil is also very, very bad for rainforests. Greedy corporations continue to flatten rainforests to create land to grow the oil, which is used in a vast range of processed foods and other products including bread, crisps, margarine, vegan cheese, soap, ice cream, pizza bases and instant noodles. We care about the future, about the world we’re leaving to our children, so our fudge doesn’t contain any of it. How does the thought of a rich chilli fudge sound? How about sea salt fudge, with that irresistible tang of the seaside? Or stem ginger fudge, the ultimate in sophisticated flavours? That’s just the tip of an iceberg most people just cannot resist exploring. Go on – give your taste buds a treat and order some today! Any questions, get in touch and we’ll get right back to you.